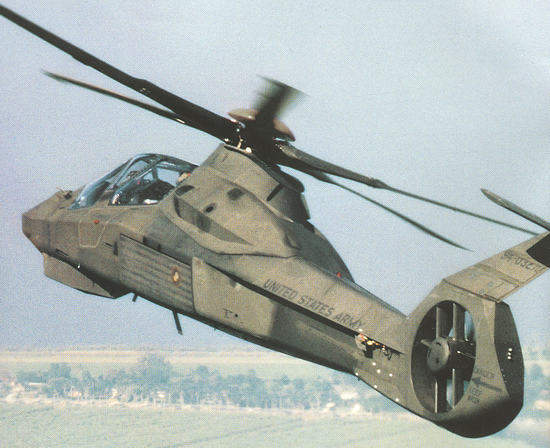 The Comanche RAH-66 reconnaissance and attack helicopter. The Comanche is equipped with a stowable, three-barrel, 20mm Gatling gun from General Electric. The Comanche was equipped with a stowable three-barrel 20mm Gatling gun from General Electric. The missiles were mounted on the weapon bay doors which open sideways. The missiles are mounted on the weapon bay doors, which open sideways. The RAH-66 Comanche was almost four times less easy to observe and was quieter than the Longbow Apache. The RAH-66 Comanche is almost four times less easy to observe and six times quieter than the Longbow Apache. All Comanche maintenance areas are easily accessible without the use of ladders or stands. All Comanche maintenance areas were easily accessible without the use of ladders or stands. 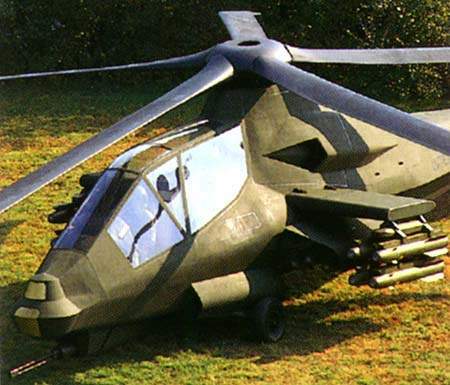 The Comanche RAH-66 reconnaissance and attack helicopter was being developed by Boeing and Sikorsky for the US Army. The first flight of the Comanche took place on 4 January 1996. The programme entered engineering and manufacturing development (EMD) in June 2000, which required the construction of nine aircraft in addition to the two prototypes by 2006. Critical design review of the overall weapon system was completed in June 2003 and was to be followed by low rate initial production of 78 helicopters in three batches in 2007. In February 2004, the US Army cancelled further research, development and planned purchases of the RAH-66 Comanche stealth helicopter. It believed that the helicopter would not meet the requirements of changing operational environments. An amendment to congress was submitted for the 2005 budget request that allowed the army to terminate the Comanche programme and reallocate funds to restructure army aviation programmes. The army planned to buy approximately 800 more aircraft and upgrade another 400 with the diverted Comanche funds. The armed reconnaissance block I version was scheduled for initial operating capability in 2009 and heavy attack block II version in 2011. 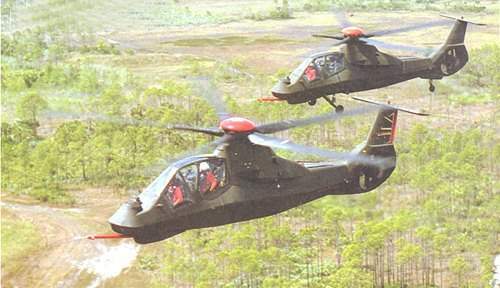 The US Army requirement was for 650 Comanche helicopters. Production of the Comanche would have taken place at Sikorsky’s site in Bridgeport, Connecticut. Boeing was to be responsible for manufacturing and assembling the composite tail section and rotor blades and Sikorsky for manufacture of the main fuselage and gearbox and for integration and final assembly of the airframe. In an armed reconnaissance mission, Comanche could recognise and identify targets and digitally transmit the information to the battlefield commander in near real-time, select the optimum force deployment and coordinate the attack. The airframe was crashworthy and ballistically tolerant to 23mm gunfire. The radar cross section has been minimised, primarily by the precisely shaped fuselage and internal weapons configuration. The helicopter had a composite five-bladed bearingless main rotor and an enclosed composite fantail tailrotor for increased anti-torque capability. The rear rotor was able to withstand impact by 12.7mm rounds and provided a 180° turn in 4.7 seconds in hover mode and an 80kt snap-turn-to-target in 4.5 seconds. 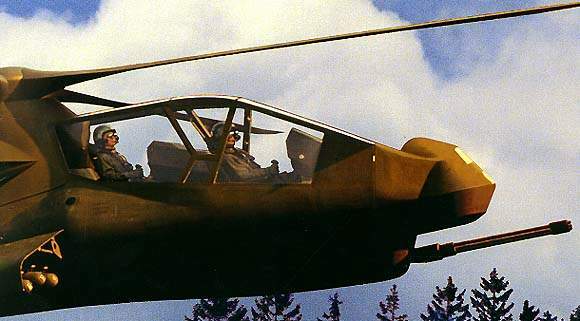 The Comanche had two identical cockpits for the pilot and the co-pilot, which were sealed and had a positive pressure air system for protection against chemical and biological warfare. The fly-by-wire flight control system was triple redundant. The cockpit was fitted with a pilot’s night-vision system from Lockheed Martin and the pilots had a wide field of view (35° × 52°) Kaiser Electronics helmet-integrated display sighting system (HIDSS). HIDSS employed active matrix liquid crystal display (AMLCD) technology. The targets were designated and the weapons fired from collective and sidestick control push buttons. 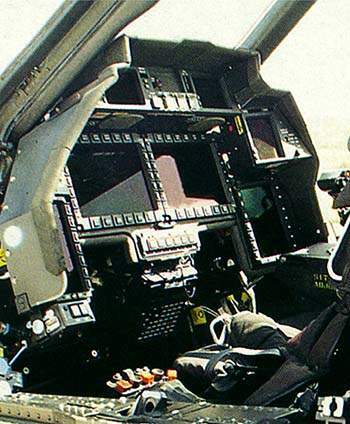 Each integrated cockpit had Harris Corp flat screen liquid crystal displays, a colour display for a digital moving map system, tactical situation and night operation display. Northrop Grumman provided the Comanche’s integrated communications, navigation and identification (CNI) suite. The CNI suite will feature secure multiwave, multiband multimode wireless communications, link 16, satellite communications and enhanced position locating reporting system (EPLRS) via the tactical internet. The Comanche carried its weapons internally and had a weapons bay on each side of the fuselage. The missiles are mounted on the weapon bay doors which open sideways. The internal weapon bay could be fitted with Stinger, Starstreak or Mistral air-to-air missiles; TOW II, Hot II or Longbow Hellfire air-to-ground missiles; Sura D 81mm, Snora 81mm, Hydra 70 rockets; or the army counter air weapon system. The number of missiles on each door mounting varied, for example each door could hold three Hellfire or six Stinger missiles. The helicopter could be reconfigured with optional stub wings fitted with multiple weapon pylons which carried an additional four Hellfire or eight Stinger missiles. The Comanche was equipped with a turreted gun system from General Dynamics Armament Systems. The stowable externally powered three-barrel 20mm Gatling gun was capable of firing 750 or 1,500 rounds a minute. The gun was mounted on a Giat composite turret (weighing 127kg) under the nose of the helicopter. The 500 round ammunition supply system could be reloaded in less than eight minutes by two crew members. The helicopter countermeasures suite included an AN/AVR-2A(V) advanced laser warning receiver from Goodrich Electro-Optical Systems (formerly Raytheon) of Danbury, Connecticut, and the ITT AN/ALQ-211 SIRCM (suite of integrated radio frequency countermeasures) suite, as well as infrared jammers. The Comanche was equipped with a suite of passive sensors and a computer-aided Northrop Grumman mission planning system, which carried out sensor data fusion, high-speed analysis and correlation of the sensor data. Northrop Grumman TASS (target acquisition system software) functions included automatic target tracking and target threat management. The analysed data was presented to the crew in the cockpit displays or transmitted to other elements of the force, providing direct relay of near real time intelligence. Lockheed Martin Missiles and Fire Control has developed the EOSS (electro-optics sensor system) which comprised: EOTADS target acquisition and designation system, including solid-state TV sensor, two-colour laser rangefinder / designator and second-generation focal plane array long-wave FLIR (forward-looking infrared); and NVPS night-vision pilotage system with a second FLIR. The first complete EOSS system was delivered in June 2003. The Comanche was fitted with a fire control radar (based on the Longbow millimetre wave radar on the AH-64D Apache helicopter), developed by Northrop Grumman Land Combat Systems and Lockheed Martin Missiles and Fire Control. The helicopter had a global positioning system, a radar altimeter and an attitude heading reference system (AHRS) from Northrop Grumman (formerly Litton). It was equipped with an identification friend or foe (IFF) interrogator and a dual jam resistant VHF-FM / UHF-AM Have Quick tactical communications system. 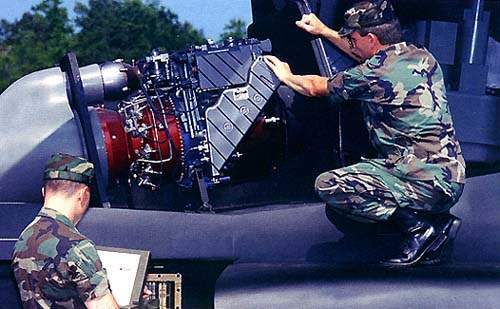 The Comanche was equipped with two T-800-LHT-801 turboshaft engines from LHTec with a maximum rated power of 1,432shp each. The internal fuel capacity of the helicopter was 1,142l.